We want your store to utilize every opportunity to hit its customers with seductive prices. That is why our team has invested such great effort to update the Bulk Discount Manager Shopify app, one of the most effective tools for Shopify merchants. Since its original launch, we’ve served hundreds of merchants who have experienced the impact of discounts on their revenue. However, we embrace the idea of further improving the Bulk Discount Manager. We collected myriads of reviews of how our app is helpful for creating unique promotions for a number of sales events, especially Black Friday and Cyber Monday. This real-life feedback from merchants has made us consider significant changes. We went further in examining which features would meet the demands of Shopify merchants and compared them with other Shopify discount apps in the App store. The decision to take action and present our new offer seemed a no-brainer. It was time to improve our app and make it 10х better with the help of awesome new features. 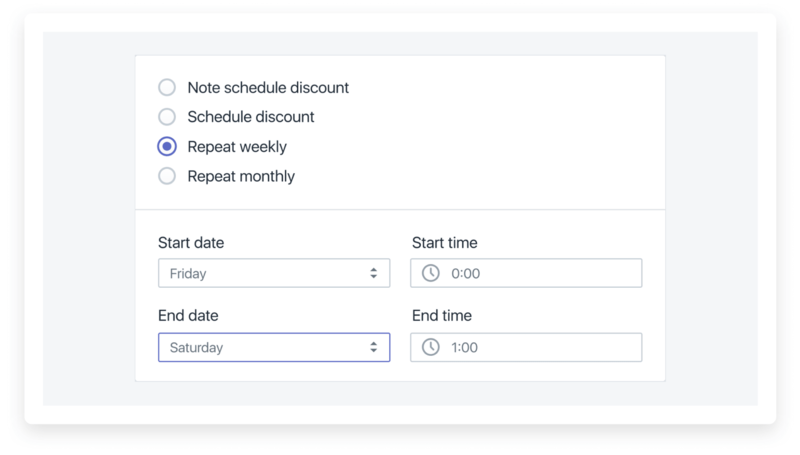 We extended the functionality of the Bulk Discount Manager app to automate your discount campaigns. We also added some brand new features that simplify the process of creating a discount sale. We definitely want to provide the best tools for your online shop so you can concentrate on what really matters. That is why we are delighted to introduce the brand new features for our Bulk Discount Manager app that were released on November 8th, 2018. Now you can apply different discount rules to the same products and be sure that they are correctly implemented through the whole store. You are free to launch different rules for collections and the whole inventory without fear of confusion or errors. For example, you can set up a discount rule with a fixed amount for a product and a discount rule with a percentage amount for a collection with the same product. Your website’s visitors will see the discount for the product with the highest priority. 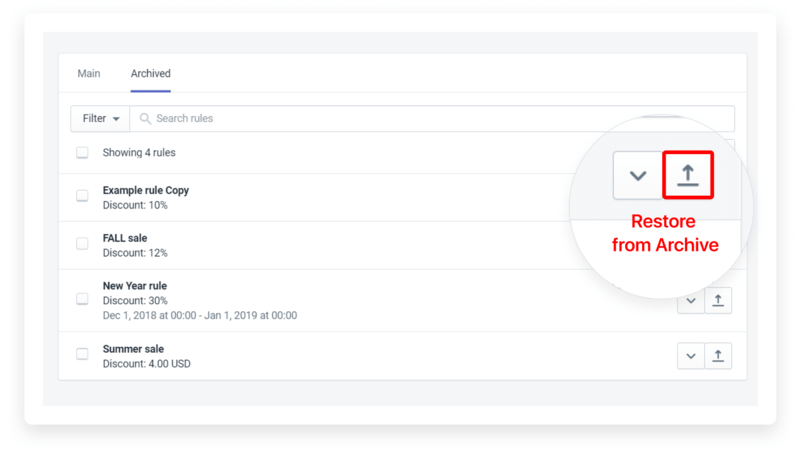 No other discounted pricing Shopify app has the same functionality—be the first to try the new Bulk Discount Manager in the Shopify App Store! We did our best to speed up the admin for better usability. Every merchant can now track and manage the start and end dates of a sale quickly and easily. Our new feature allows you to see the extended status of a discount rule that is updated once you finish the setup. 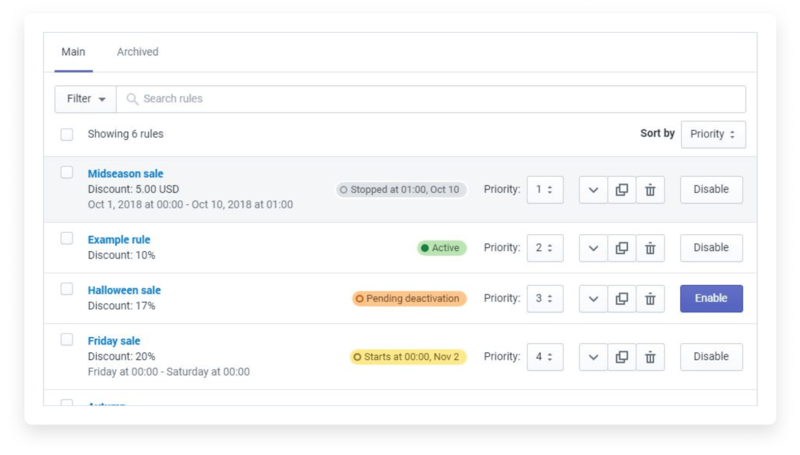 In an effort to speed up work within the Bulk Discount Manager app, we added a feature that applies the changes in a “live” mode and launches the rule 3 times faster than in the previous version. 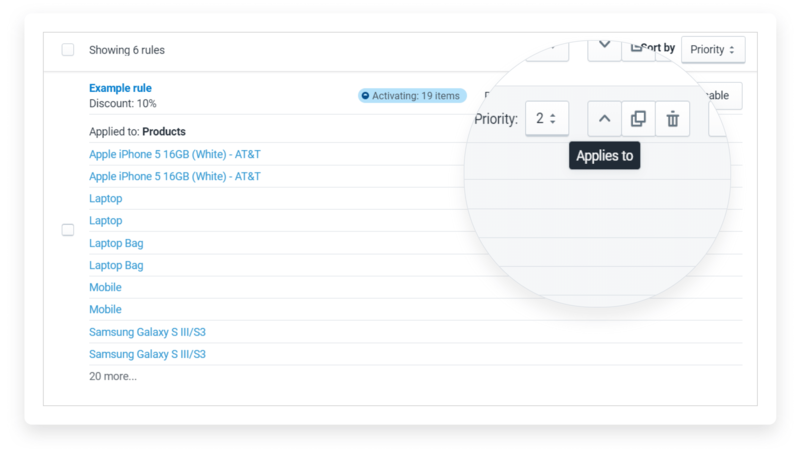 You will not have to check the statuses of each rule every time you complete the setup — you will see how many products the rule has been applied to. With excellent accuracy and a clean interface, each status turns into an informative frontier of your discount campaign. We are the only developers to unroll repeat rules in a discount app. Be the first to try new repeat rules for your online store—save time and energy automating the next promotion! We know how easy it is to forget about the sale every Friday that generates the most of your revenue. Previously, you had to update each rule for a discount manually on a specific date. Now, all your discounts can be automatically updated with our new feature! You can edit discount rule settings using the new “Optional settings” section to schedule or repeat your sales. You can schedule discounts based on day of the week or month—choose for yourself. Our brand new feature allows you to make the most of a discount app. In an effort to create flexible rules for your discounts, we present the chain of discount rules that you can activate on your e-shop. In seconds, you can create smart rules and apply it to your store. You can create a time-bound discount rule that can change its value over the course of a few weeks. For example, you can run a promotion with 50% discount for the 1st week, 30% discount for the 2nd week, and 10% discount for the 3rd week. Launch this chain quickly and easily directly from the admin of the Bulk Discount Manager app in just a couple of clicks. We know how smart collections help you improve navigation on your Shopify store. And we are also aware of the difficulty that manually sorting all of the products can cause. That is why we redesigned our app to make it ready for smart collections and super easy to apply. With our app, you can include products from smart collections in your next promotion with no manual setup. Just add a discount rule to it and the app will track the changes in your smart collections and apply them with precision. If you decide to remove the product from a smart collection, the app will deactivate the rule automatically. 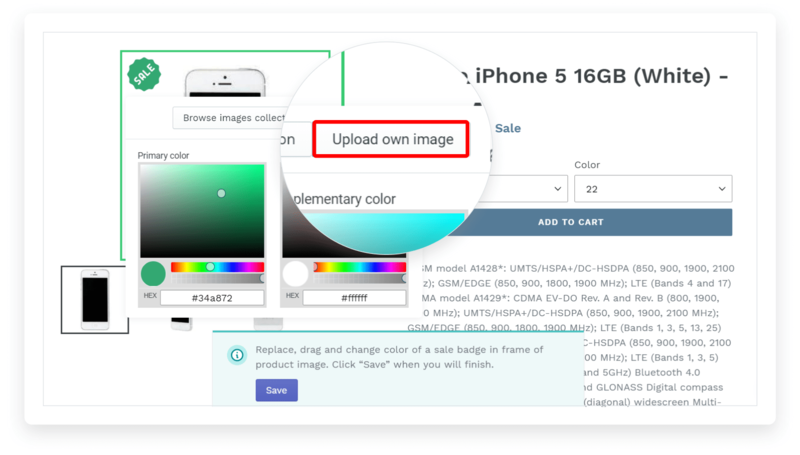 Bulk Discount Manager will monitor smart collections in background mode. You won’t have to follow the changes or edit campaigns—our app has you covered! No other Shopify app will allow you to edit your discount rules in bulk. Our new feature allows merchants to eliminate manual work while setting up a discount campaign. 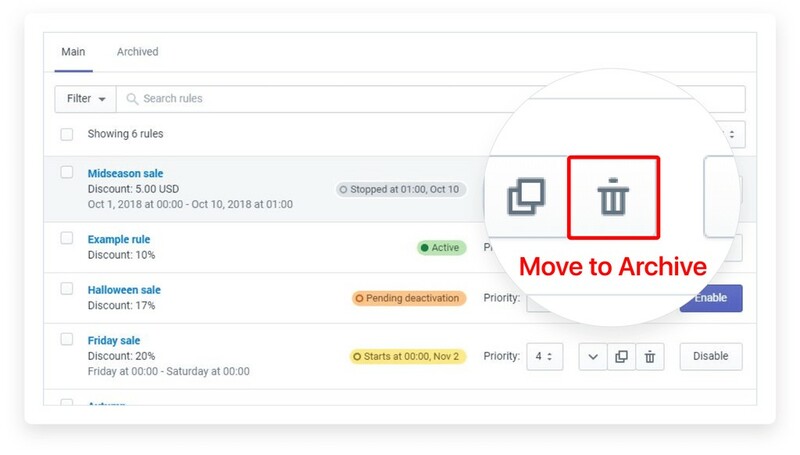 Now you can apply the changes to all the rules in bulk with just one click. Our intuitive admin panel has become more user-friendly, letting you make mass changes without any technical background knowledge. We’ve also added a section where merchants can save a deleted discount rule. 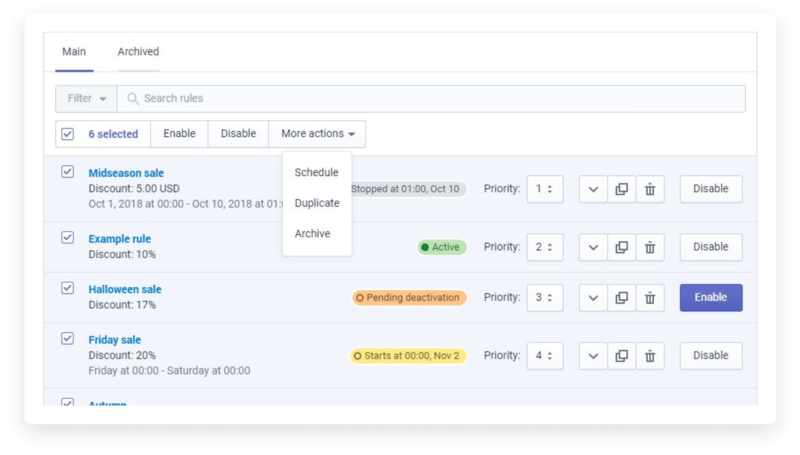 Now you will never lose a rule that you’ve been using previously, and you can restore any of them. 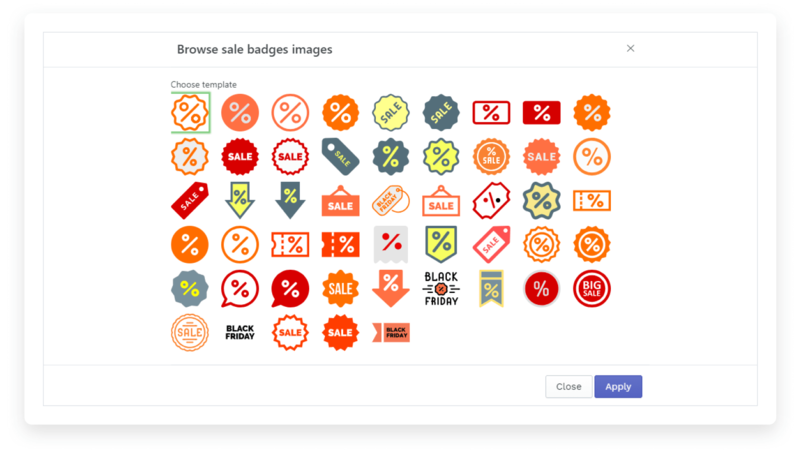 We are the first to announce the new drag-and-drop editor that lets you create a perfect sale badge for your online store. 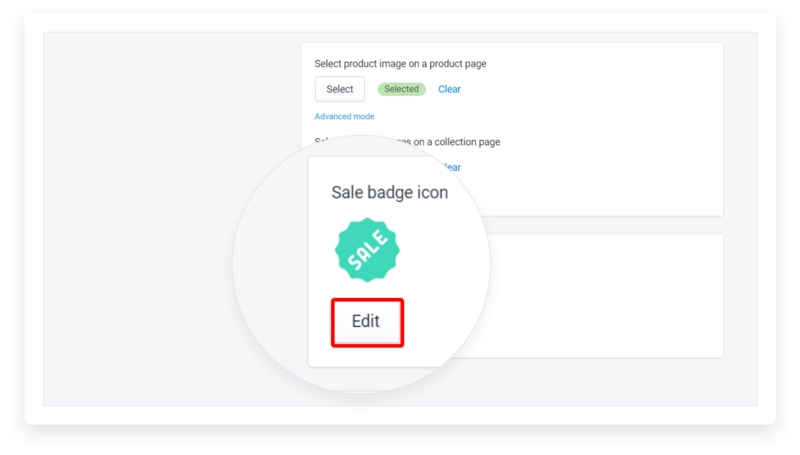 Just navigate to “Sale badge settings” section and choose the images of products and collections that you want to label. 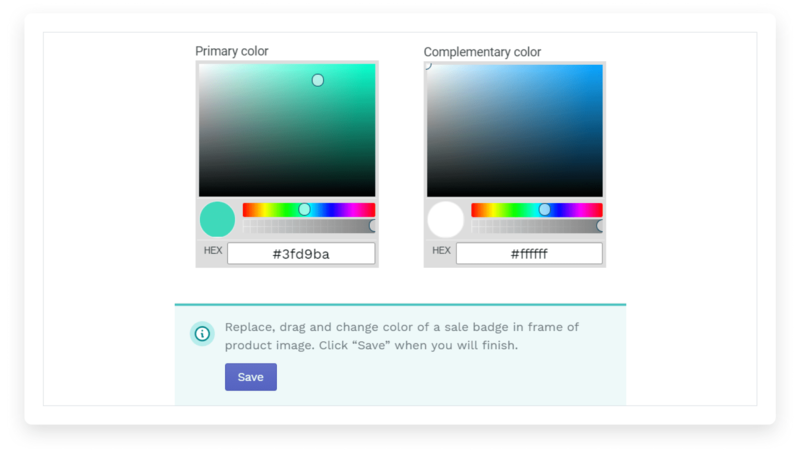 Be the first to experience an easy-to-use badge editor to create the visuals that you deserve! Merchants can view which products participate in a promotion without having to navigate to each rule. For example, you can preview every crucial detail for your weekend sale on the main dashboard. Click on the “Applies to” button to see which products participate in the discount campaign in a given period. This can help save time when browsing the dashboard, since it allows you to preview the essential information without editing every rule. Now you can easily find particular products or even collections in moments. Surely, all these new features set this app apart from the rest. 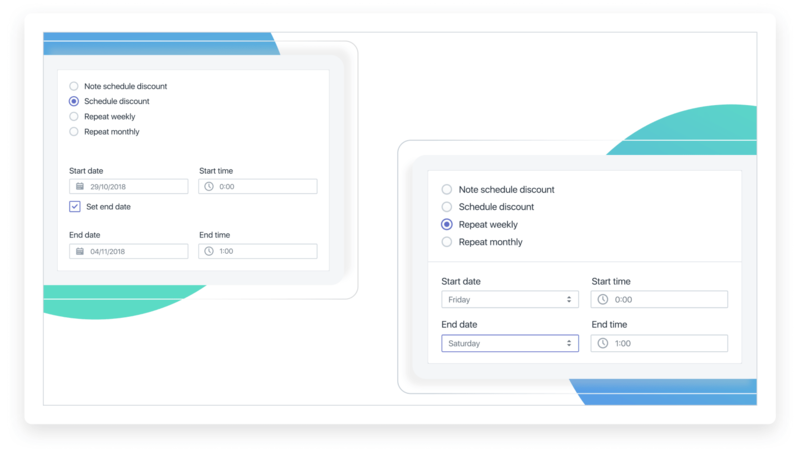 The Bulk Discount Manager App makes it easy to set up discounts based on amount or percent, flexible rounding rules, and more. We hope you will enjoy using the new functions that make our app stand above the rest! We’re ready to serve you 24/7, and our team will do our utmost to help you with any issues you face. Don’t hesitate to create your first discount rule with the help of the Bulk Discount Manager app! Join 5,000+ Shopify merchants who already know how easy and fast it is to run promotions on Shopify. Save tons of time with the number one app that helps you set up holiday sales, BFCM promotions, and weekly specials. What are you waiting for? Scheduling sales is now a breeze!